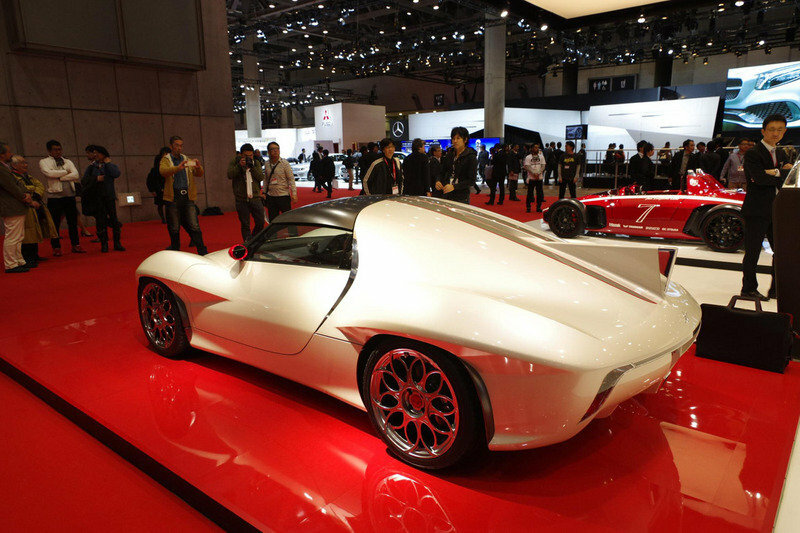 The first thing that crossed our minds when we saw Kode9 by Ken Okuyama Design was the [Speed Racer] movie. 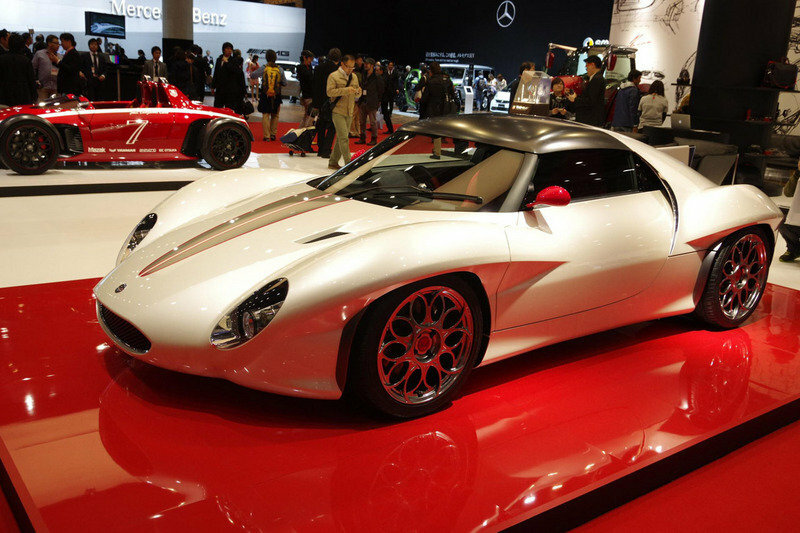 Ken Okuyama is a well known car designer from Japan who has, in the past, headed the design team at Pininfarina. His famous works include the Ferrari Enzo and Maserati Quattroporte. Well, he also loves building special one-offs, and the Kode9 was one such concept that was showcased at this year’s Tokyo Motor Show. The influence of Italian automotive design is evident in Ken’s work, and the Kode9 is an example of that inspiration. The exterior design of the Kode9 can be related to some classic sports car as well as modern concepts. Despite the similarities, the Kode9 sits as a uniquely different design form and a rather attractive one, to say the least. Most of the parts used have been made using modern technologies like 3D printing and carbon fiber. 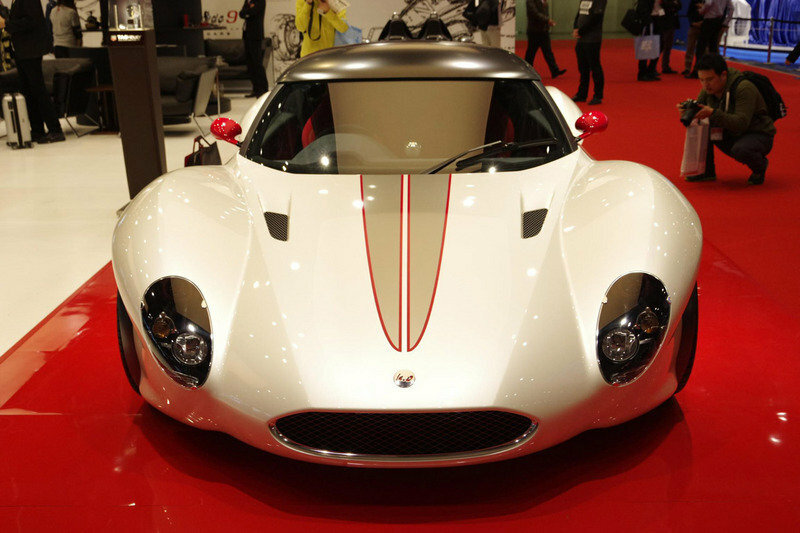 Clearly, the exterior of the Kode9 is influenced by the Alfa Romeo Disco Volante, and the rear wing and front fascia can be traced back to the Le Mans winning Jaguar D-Type. The wide wheel arches have also been a feature on past Alfa Romeos and, of course, Jaguars. The front grille opening sits on an elongated snout that sits low and wide. Short overhangs, large wheels and wide haunches clearly suggest that this car wants it to be noticed. 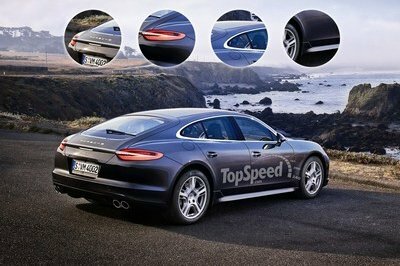 Move towards the rear and it is again all about a retro-modern design. Staying true to its sporty theme, the interior is pretty basic. The minimalist dashboard sits at a right angle with the car floor and seems like a single carbon-fiber piece, wrapped partly in suede. Apart from two A/C vents on either sides of the dashboard and a bank of vertical switches on the center console, the rest of it consists of a the instrument binnacle with four dials. The rest of the interior, along with the seats, is covered in even more retro, quilted leather. The bare gear-shift linkage adds a nice touch. We also like the sports chronograph a-la Porsche. The maker of the engine that powers the Kode9 has not been disclosed, but we do know that the car uses a 370-horsepower, in-line four-cylinder engine with a 2.0-liter displacement. The motor is boosted by a HKS Supercharger, which results in the overall high output. The car was built using lightweight materials, like carbon fiber, so it only weighs 890 kg (1,962 pounds). This low weight means that we can expect some brisk 0-to-60 mph acceleration times. The makers promise a bespoke setup with individually adjustable suspension components. The Kode9 is designed to be a "part race car, part sports car", according to the press release, hence the complex and fully-adjustable suspension. Brakes consist of four-pot Akebono calipers all-around. Ken Okuyama "guarantees unlimited fun behind the wheel", thanks to some Akebono stopping power. 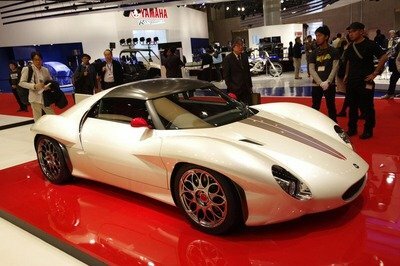 At the Tokyo Motor Show today, Ken Okuyama Design unveiled two world premieres, the ’kode9’ sports coupe and the ’kode7 Clubman,’ which is a lightweight, spartan version of our current k.o7 model. Inspired by legendary race cars from 1963 to 1973, the kode9 is a bold new concept that marries the best of 20th Century automotive design with 21st Century technology. TAG Heuer Carrera CMC kode9 Limited and Boston Bag designed by Ken Okuyama will be onboard the car. Also occupying a lead role on stage are the ’kode7 Exclusive’, which is a hand - built, open - top sports car and the robot - like Yanmar Concept Advanced Tractor. In keeping with our theme for a more fulfilling and stylish ’adult car lifestyle,’ we will also be exhibiting the company’s latest furniture, tableware and eyewear, as well as limited edition wristwatches and bags created from a collaboration with TAG Heuer. Part race car, part sports car, the kode9 is a concept that employs stunning but simple proportions and a driving experience to rival some of today’s greatest sports cars. "This is my message to today’s car industry which seems stuck in a rut of overly complicated lines and styling based on the lowest - common - denominator," says Okuyama. This street - legal clubman racer incorporates the central section of a hydro - aluminum chassis, but with front and rear chassis sections specially designed and unique to this car in -. house developed wet carbon components, manufacturing technology using the latest 3D printers, Yamazaki Mazak’s precision CNC cutting technology and the latest aerodynamic trends in a package that tips the scales at just 890 kgs. Powered by a Japan - sourced 2.0 - liter, 4 - cylinder engine with HKS supercharger, the kode9 generates an impressive 370 hp. All suspension components are unique to this . coupe together with its fully adjustable suspension setup And with specially fitted 4 - pot Akebono brake calipers, the kode9 guarantees unlimited fun behind the wheel. Four Created to enjoy track day events and sports driving, the kode7 Clubman is a simplified version of the kode7 that has been further lightened to optimize on - road dynamics. Priced from a more reasonable 8.5 million yen for the base 1.6 - liter model, the Clubman employs a movable front cowl and retractable headlights while doing away with driver comforts to enhance its behind the wheel thrills To achieve its driver - focused goal of creating a lightweight, attractively priced roadster, some 50% of the parts used in its construction were humed from the latest 3D printer. The model on display is powered by a 250 hp 1.6 litre 4 - cylinder engine. 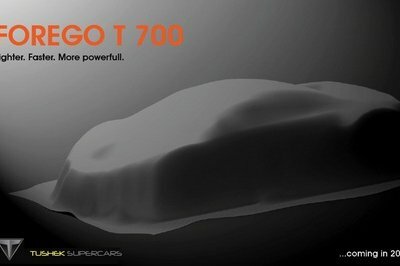 Inheriting the basic architecture of the ’k.o7’ sports car which debuted at the 2008 Geneva Motor Show, the revised and newly named ’kode7 Exclusive’ is a hand - built, open -. 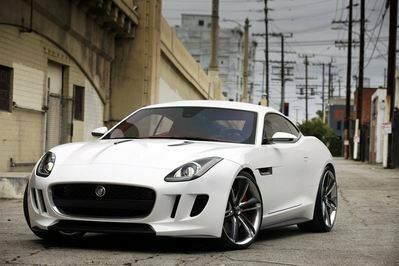 top sports car that can be modified to the specifications of each owner Boasting short front and rear overhangs, the coupe incorporates lightweight aluminum and carbon fiber bodywork. With its modern, timeless silhouette and sharp, sporty overtones, the kode7 delivers motorcycle - like handling and performance from a 230 hp 2.0 liter 4 -. Cylinder engine The kode7 Exclusive may be ordered at a price starting from 25 million yen. As part of its Carrozzeria activities, Ken Okuyama Design has teamed up with Yanmar to create the Advanced Tractor In addition to its industry - leading stylized design, this tractor boasts superb all - around visibility, while delivering operators a comfortable, yet sturdy construction that can work safely for long hours in the fields. It also incorporates an advanced GPS satnav system that will eventually enable it to work autonomously thus improving yields.